Different inductor type. It can be 0, 1 or 2. What about max? Current "turbo" settings are 0.664 - 0.750, with 1260 max power and 62 DC2DC. Based on the new start of 0.65, should those of us stuck on 110 alter the max voltage/power/DC2DC? Of course, I can't actually DO any of those things until Thursday... stupid work making me travel again... But, it gives me something to think about until I get back home. The max is not important. You will be limited by the PSU long before you get to 0.69V. Thanks Zvisha. So, setting the max to .68 (30 mV higher than the start) should work out just fine? As for the max PSU and DC2DC, since the PSU is capped at 1100, does setting this at 1260 make sense? Does 62 make sense here, or should that be adjusted down to 61 or up to 63? Leave them as they are, there is no need to change. What is the latest firmware rev? I have two May units, and one is running firmware rev 1.3.49, and the other is running rev 1.3.50-dc-60trml. Both units say they are running the latest firmware, but the unit that is running rev 1.3.50-dc-60trml is faster by ~100GH/s. This difference is likely caused by hardware variation. What is the difference between firmware rev 1.3.49 and rev 1.3.50-dc-60trml? The SP30 pics are SWEET!!! It's experimental, I just uploaded it to update a test machine, I don't remember what it has. Would not count on it giving 100Gh extra, it's just different machine. We will release 1.4.something tomorrow or day after, it will be tested and stable. MOD note: I've edited some posts to move pastes into code tags (see the hash sign in the editing buttons). Please use them for long pastes and don't quote the whole post when it's a very long one please. Is pre-ordering an SP-30 for all the way September delivery viable? Would I ever get my ROI you think? The price and the amount of waiting time is what is stopping me from pulling the trigger. After $5k it it is a real hard catch up game. I know I'd feel more comfortable with an August delivery, but bitcoin could be $400 in three months. I guess I'm saying I really like the SP30 but don't want to be in the red with it through its lifetime. Ya know? 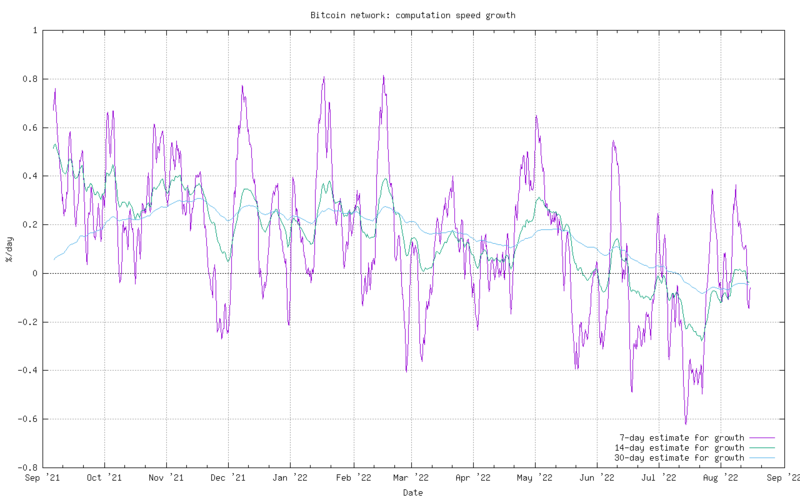 http://bitcoin.sipa.be/growth.png This is looking good. My first SP30 ordered was in March with July delivery, the next ones were in April with August delivery (4 and 3 months). Now it's the same 3 months. This is currently the best bitcoin hardware manufacturer hands down. The hardware is quality, and customer service is great also. I'd love to order more, but it's all out of stock, and never again will I preorder anything. somehow, I doubt you will get anything from Spondoolies in September if you decide to wait til September. I'd recommend that you get in the queue now - it's not as though the SP30 isn't going to be ready on time! somehow, I doubt you will get anything from Spondoolies in September if you decide to wait til September. But what's also probably true is that there will be much cheaper in-stock hardware by september. I think you will find, anything in stock in september will be very price similar, if not; more expensive - and much lower quality. Hello my friend, I've missed you. Is it too boring at one of AM threads ?